A horse trained in Scotland by Lucinda Russell was one of two to die at Aintree on Friday, as she bids for a repeat of her 2017 Grand National victory. Forest Des Aigles, from Russell’s Kinross stable, was put down after breaking a leg in the Topham Chase on Ladies Day. The horse was ridden by Derek Fox who rode Russell’s One for Arthur to victory two years ago. The horse will line up for this weekend’s big race. Earlier, Dan Skelton’s Crucial Role was another fatality after falling in the Mildmay Novice Chase, prompting a backlash from Animal Rights activists. The Topham also put an end to top jockey Barry Geraghty’s meeting. He will miss his ride on Anibale Fly, one of the leading fancies for the National, after suffering two fractures of his right leg. Mark Walsh, who rode Champ to victory in a later race, is expected to take over on the 16-1 chance trained by Tony Martin in Ireland. Anibale Fly was fourth last year and runner-up behind Al Boum Photo in the Gold Cup at last month’s Cheltenham Festival. Rathvinden comes into the race following rave reviews of his last race. He’s trained by the formidable Willie Mullins and ridden by double National-winning jockey Ruby Walsh. Mullins also saddles Pleasant Company, beaten by a nose last year, but needing to overcome ordinary runs this season if he’s to repeat last year’s heroics. Champion jockey Richard Johnson is hoping Rock the Kasbah will give him his first National win in a record 21st ride in the race. Rebecca Curtis is hoping to break an even longer record with Joe Farrell, last year’s Scottish National winner, who is trained in Wales which last produced a Grand National winner 113 years ago. Step Back could bring the prize back for trainer Mark Bradstock. He has won supporters following his victory in the season-ending Bet365 Gold Cup at Sandown last year. Has the benefit of being ridden by top jockey Nico de Boinville. French-bred Ramses de Teillee‘s recent record reads 5122, making him one of the form horses. He is trained by David Pipe, who won with Comply Or Die in 2008. Gordon Elliott is mob handed with 11 runners. He saddles the favourite Tiger Roll – ridden by last year’s winning jockey Davy Russell – and other strong fancy Jury Duty who comes into the race on the back of two wins and looks to be improving. Tiger Roll is hoping to be the first horse since Red Rum to win back-to-back Grand Nationals. But he is a small horse carrying a big weight. Elliott has a number of fancied runners including General Principle, winner of last season’s Irish National, who the trainer himself is keen on. 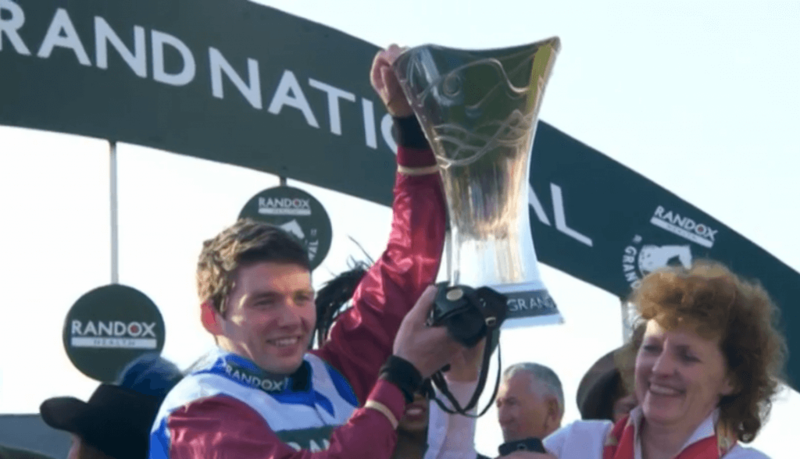 Monbeg Notorious was seen as an Irish National winner before fading to eighth and has again won favour from one of the top tipsters. Mala Beach, ridden by highly-rated amateur jockey Jamie Codd has also caught the eye. Aside from One for Arthur, who has unseated his rider in both runs this season, Scottish hopes may rest on Lake View Lad, trained by Nick Alexander. The horse has won the Rehearsal Chase and Rowland Meyrick Chase this season. He has finished out of the places just once when completing over fences and could be a value bet. Owner Trevor Hemmings is looking for a record fourth National win following triumphs with Hedgehunter (2005), Ballabriggs (2011) and Many Clouds (2015). Captain Redbeard is ridden by jockey Sam Coltherd for father Stuart, a Scottish farmer who sprang a 100-1 shock at the meeting six years ago when saddling Tartan Snow to win the Foxhunters’ Chase.